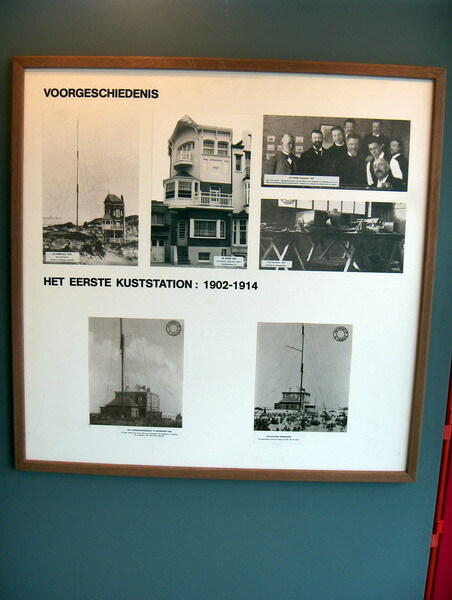 The first radio maritime station installed on the European continent in December 1900 at De Panne, near the French border. 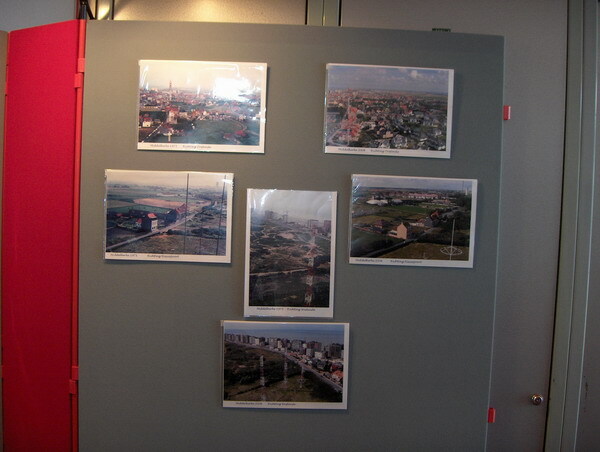 The station made communication with mailing boats Ostend - Dover. The first coast station 1902 - 1914 of Belgium at Nieuwpoort installed in the building of the pilotage near the River Yser..
Sending station of Middelkerke in 1975 and 2006. Richting: Direction Oostende (Ostend) Nieuwpoort (Newport) and Westende. 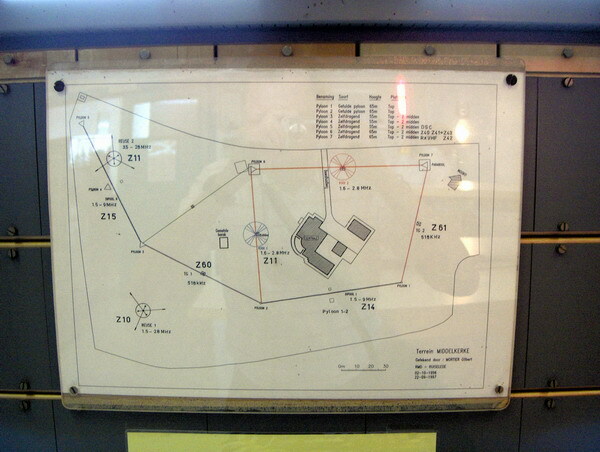 Here the layout of the sending antennas at Middelkerke of Oostende radio. Getulde pyloon : Re inforced mast. TG: Telegraph antenna (Now used for NAVTEX on 518 kHz.). Below: Duinenweg: (Road of the Dunes). It is the oldest road of Flanders made on the protected side of the dunes. On the map, there is an error because the antenna between the masts 2 and 6 is not for Z11. (1.6 à 28 MHz) Reuse 2 antenna. Reuse 1 and 2 antennas. 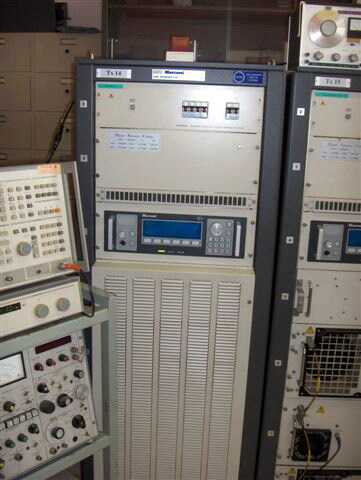 Control apparatuses for transmitters in Middelkerke. The Antenna switch MATRIX of the sending station of Middelkerke. 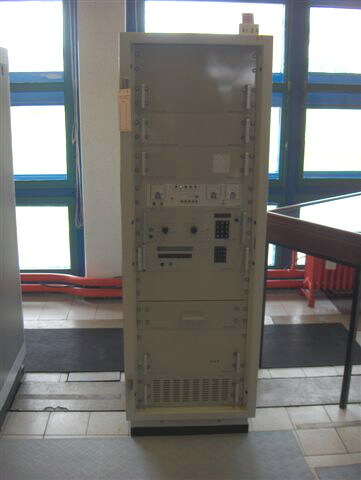 It is used for the switching of transmitters with the antennas. 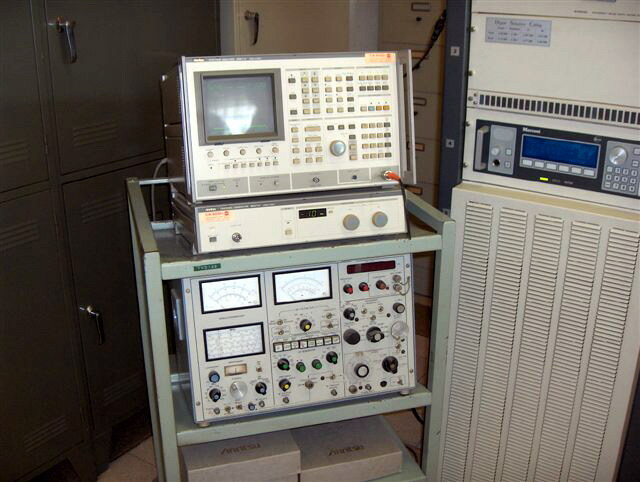 It is a typical equipment of a radio coast station in medium and short wave . 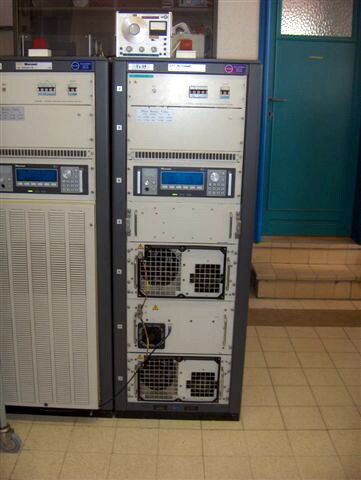 The TX14 transmitter GEC-Marconi of 1 kW P.E.P of. Dipole 1 antenna of Middelkerke for DSC. 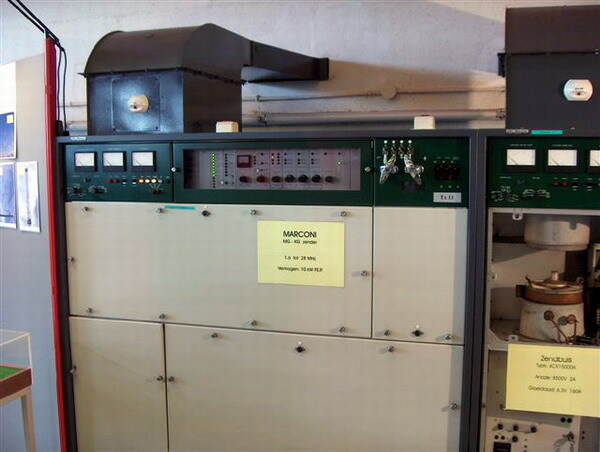 The TX15 transmitter GEC-MARCONI of 1 kW P.E.P. Of Dipole 2 antenna of Middelkerke for DSC. 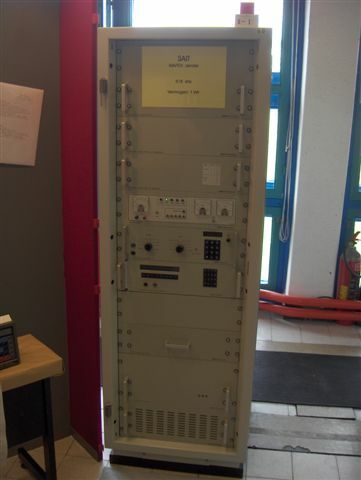 The Z60 transmitter SAIT 1 kW of Middelkerke for NAVTEX transmission. sending station for NAVTEX transmission.